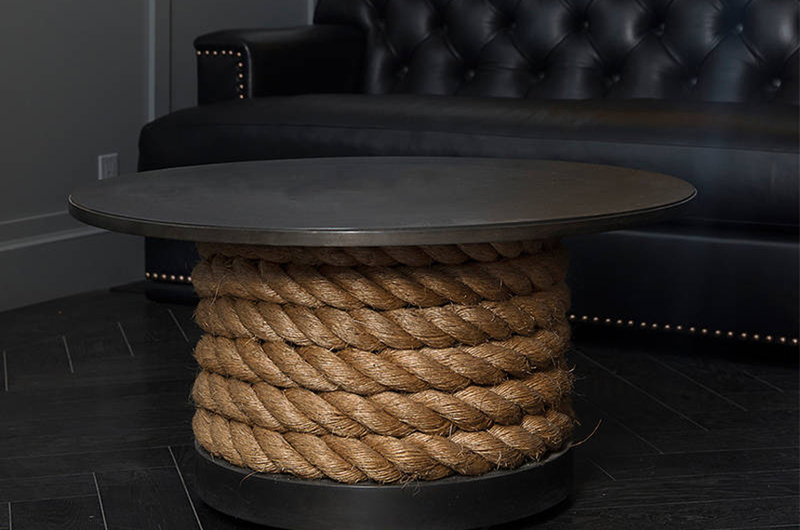 The Steel and Rope Coffee Table is a strong, well-crafted piece of furniture. It glides easily across the floor on hidden casters, despite its heavy weight. 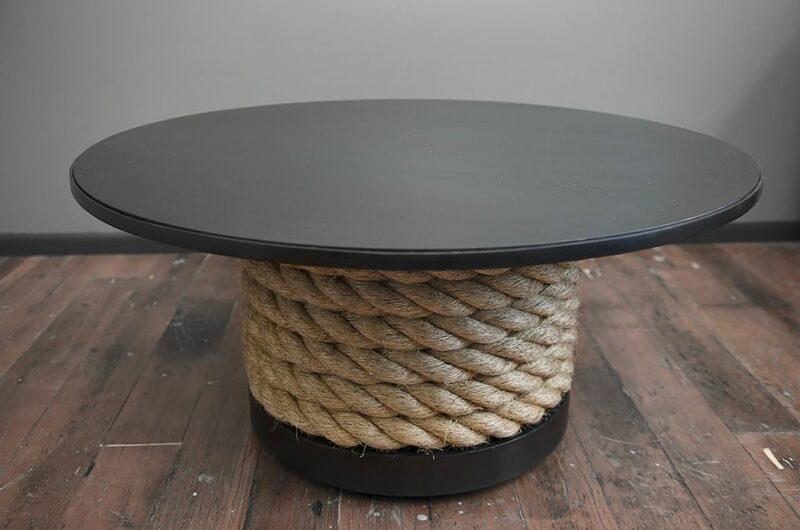 The two-inch nautical rope circles and dives in and out of the base creating a seamless transition without bumps. The tabletop is a plate of steel that will age with use. The blackened patina is dark charcoal grey.